text your scores! MBR and CMSB Media have added yet another mechanism to get live updated scores from events. 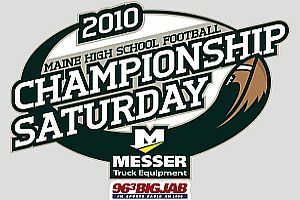 In addition to using Twitter (#MESNScores), just text from any cellphone to (207) 358-6160 and your score will show up live on MBR and CMSB Media. The twitter page to follow is @MESNScores So lets all get together and keep the people who can't attend the games informed. Thanks all. The Maineiacs acquired Kirill Kabonov, a 2010 draft pick of the New York Islanders, on Thursday. Tim Thomas is still on fire. Bruins fans thanked Phil Kessel last night, and it wasn't for his service for when he played in Boston. Milt Schmidt was honored before the game. Tyler Seguin is staying in Boston. Jimmy Howard has been shelved for back spasms. Nathan Horton squared off against Dion Phaneuf last night. Ian Rapoport breaks down Randy Moss prop bets, tells everyone to tap their breaks on praise of the rookies, and more on the Rap Sheet. NESN.com's Jeff Howe breaks down how Deion Branch lobbied for a trade back to New England and more. Concerns about Randy Moss helping the Vikes stop the Pats Offense? Juan Carlos Linares is doing well in the Arizona Fall League. Tim Wakefield won the Roberto Clemente Award. Former Sea Dog David Murphy went 0-3 with a walk in the Rangers 9-0 loss to the Giants in game 2 of the World Series. They resume the series Saturday for game 3. The Celtics are in action tonight against the Knicks.